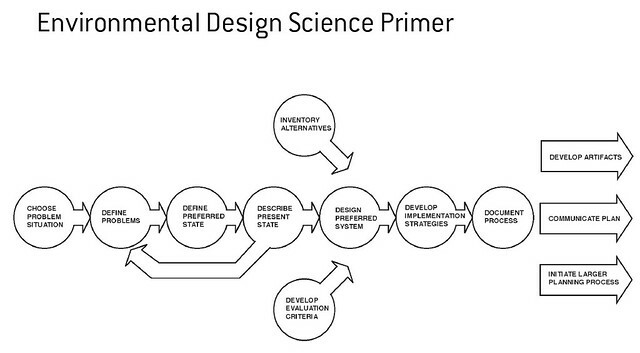 My friend George sent through a link to the Environmental Design Science Primer, which is a PDF available here. In order to have a significant effect on vital environmental and social issues, people need to acquire the skills that will allow them to act as planners and participants, rather than as spectators in the defining and solving of problems. If environmental education is to be relevant and effective, it needs to balance its approach between activities which alert people to the dangers of a reckless attitude towards the environment, and activities which that inform people how to design and implement positive alternative solutions. In the spirit of helping enterprising students get better grades for their university assignments, I hereby answer questions from “C”, who emailed me recently … there may be some overlap with a recent mailbag response to another student over here. I am currently studying fine arts at uni, and have chosen In the Balance for my essay in which I must critique a current contemporary art exhibition. I am very excited about the show as it combines both my interest in environmental issues and in art. I am also hoping that it (and particularly your piece) will challenge art galleries, artists and viewers to think about sustainable practices in visual arts. I have a couple of questions I was hoping you could share some thoughts on. 1. What do you think the main purpose of the show is? 3. By allowing themselves to be ‘environmentally audited’ and by drawing attention to the relationship between art and environmental sustainability, do you think the MCA has potentially opened themselves up to future scrutiny, in relation to how they conduct future exhibitions and also the types of artists they invite to exhibit? 4. Are you concerned that the public may also hold you (and some of the other exhibited artists) more accountable in the future for the way you conduct your art practice? 5. Have you found the general response to your work and/or the exhibiton, to be positive, negative or both? Once again I can’t thank you enough for your sharing your time and thoughts with me. Best of luck to you, and I’ll let you know when I am visiting the show again.